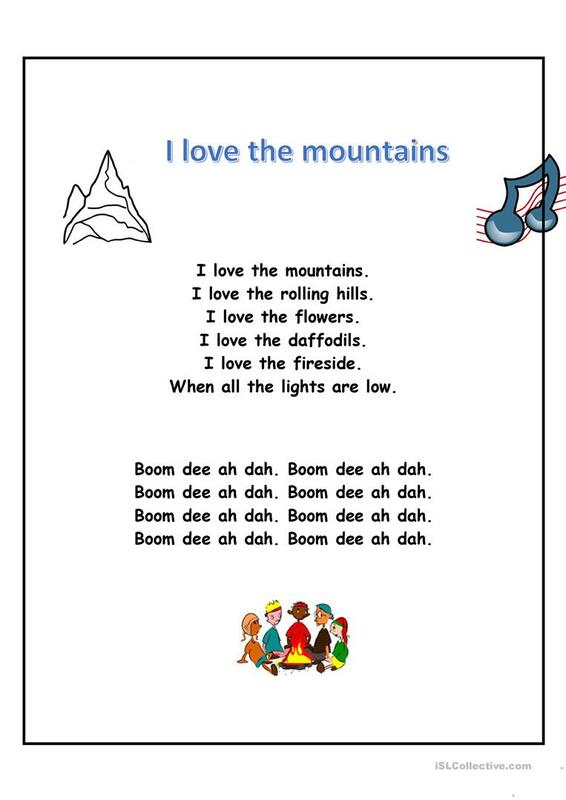 Listen to the popular campfire song "I love the mountains," and fill in the missing vocabulary. This downloadable worksheet is intended for elementary school students at Elementary (A1) level. 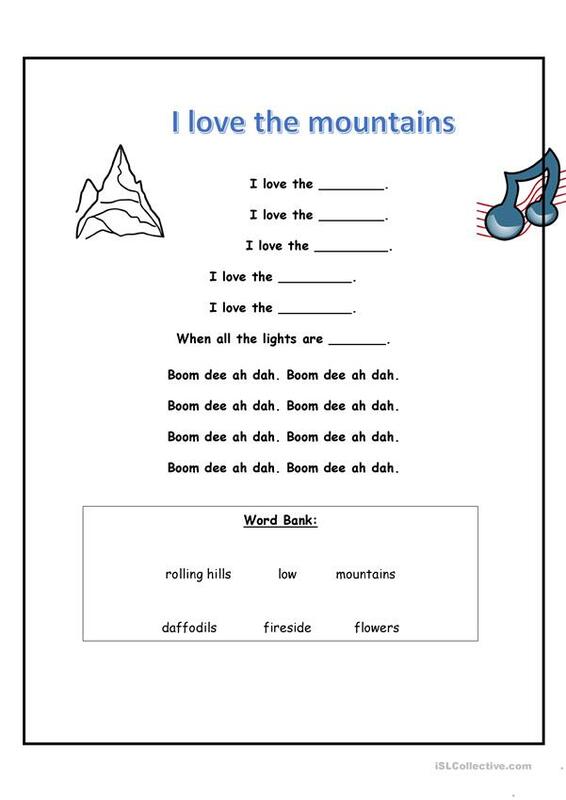 It can be used for working on your class' Listening and Writing skills.